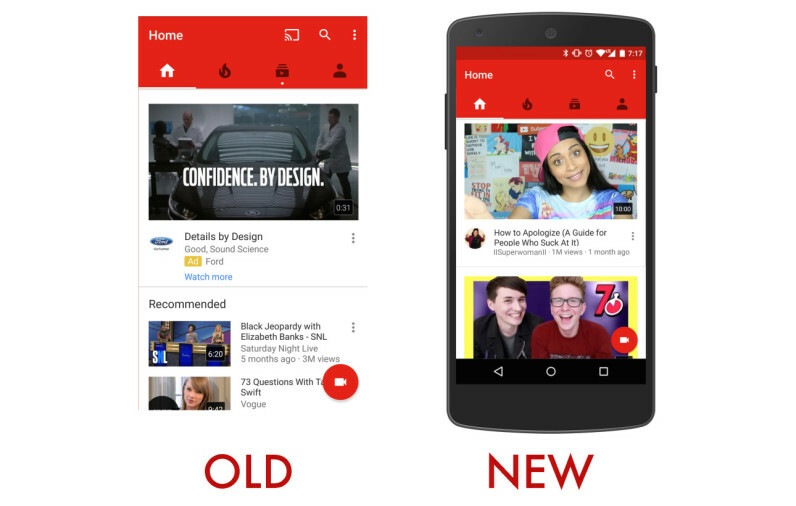 Today, YouTube is updating its mobile app to provide a better ‘Home’ experience. You’ll now see larger thumbnails for recommended videos, which YouTube says is curated based on a deep neural network technology that looks at your search and watch patterns. YouTube says the update will display fewer recommendations, but show ones that should be more interesting to you based on your viewing history. The deep neural network is designed to detect patterns automatically, so it should keep up with your interests should they change week over week. At this time, YouTube is able to recommend videos in more than 76 languages. The update rolls out today on both iOS and Android.